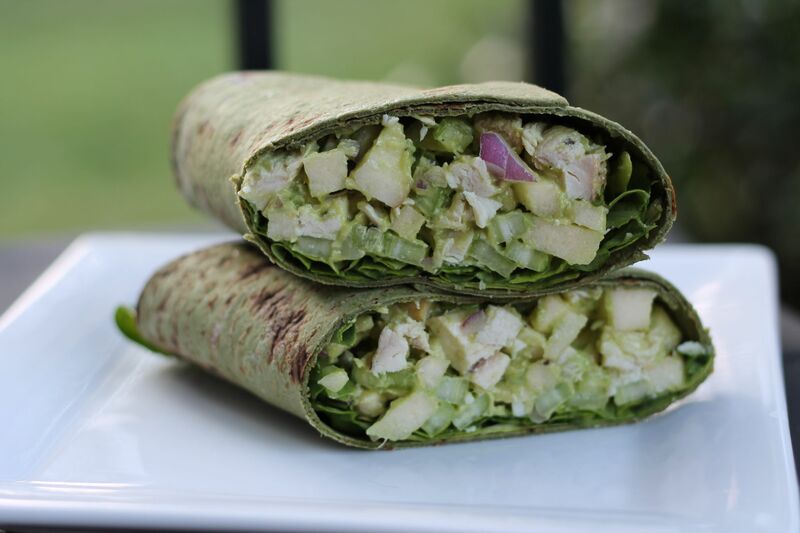 I recently pulled one of my favorite recipes from my archives — Avocado Chicken Salad. 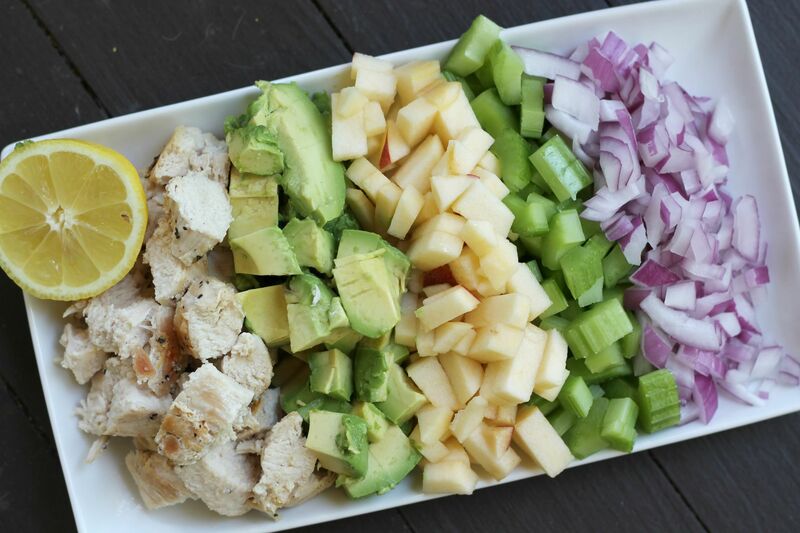 I love how versatile this salad is. 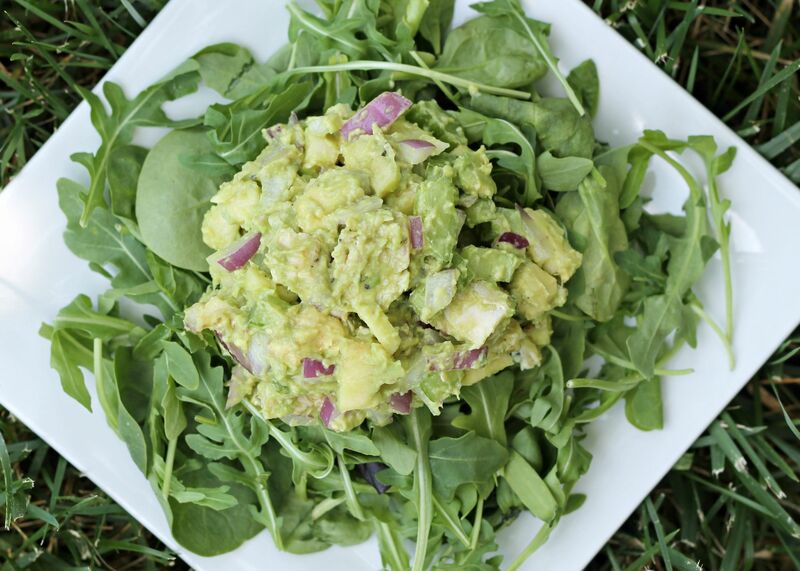 You can top a bed of arugula with a scoop of this delicious salad, wrap it up or eat it straight from the bowl. And it lasts for days in the fridge without turning brown. In fact, the second day is probably tastier than the first. Anyway, this dish deserved it’s own post. 1. Butterfly your chicken by laying the cutlet flat and slicing it parallel with a knife. Season with salt and pepper. Place the chicken breastsinto a lightly oiled skillet over medium-high heat. Cook until brown and opaque throughout, 2-4 minutes each side. Remove from heat and set aside for a few minutes. Finely dice the chicken breast and toss into a large bowl. 2. Dice your veggies. 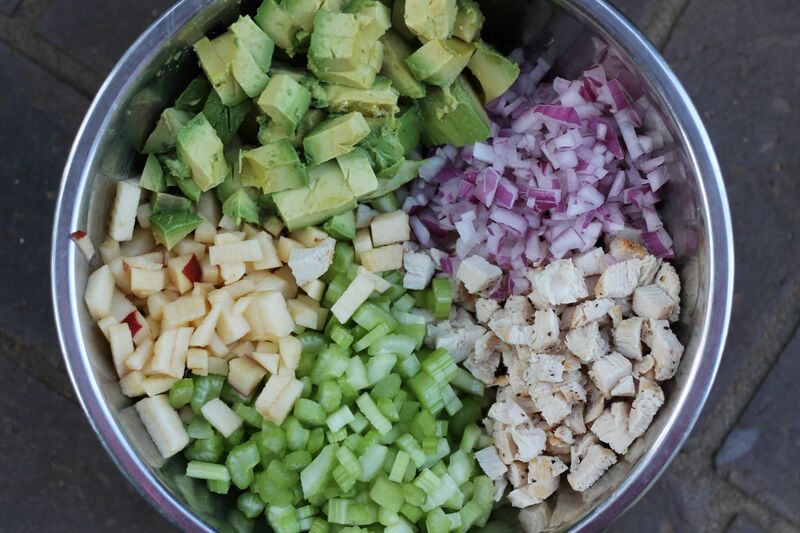 Wash, dry, peel and finely dice your red onion, apple, celery and avocado. Toss into bowl with chicken. Gently mash the avocado until all of the ingredients are mixed well. 3. Sprinkle in cilantro. Add in lime juice and salt and pepper to taste. 4. Serve as a sandwich or on a bed of greens with a little drizzle of olive oil! Feel free to get creative too. I threw halved grapes into my salad one day and it was super tasty! Thanks for your yummy recipe! 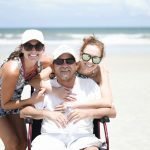 You are so fit and I was just wondering if you would do a post of what you eat regularly or any meal plan ideas would be great too!